What is the Role of the Fuel Cap in an Audi? Audi AG is a German car manufacturer and was founded in the year 1885 as the company Wanderer, but eventually became a branch of the Audi AG. The logo features four rings, which is supposed to represent the four companies that founded the Auto Union. The companies that formed the Auto Union in 1932 were Wanderer, Audi, DKW, and Horch. The Audi Front was the first car produced under the Auto Union and was the first European automobile that was able to have both a six-cylinder engine and front-wheel drive. During World War II, the production of vehicles shifted to military production. Since the factories were major sources of military production, they became damaged during the war from allied bombings. Around 1945, the Soviet Union had taken over and sold all assets to the company without properly compensating the company. It was during this time that the company shifted from East Germany to West Germany. The Audi is filled with a rich history and was able to make a swift comeback, producing the vehicles we know and love today. Even though German auto design is highly respected, the Audi may experience some malfunctions every now and again. Audi customers have noticed issues with their fuel caps. Though this may be a minor problem, it is an important one and should be fixed immediately. Why Do Cars Need Fuel Caps? The fuel cap is a simple design and a simple part, but it is important to the proper function of your vehicle. The fuel cap is designed to prevent any dirt or debris from infiltrating your car. In addition to preventing debris from getting inside of the fuel tank, it also serves as a seal. From an environmental standpoint, the fuel cap helps with the emissions of gas into the air. The evaporative emissions system also called the EVAP is a system designed to prevent any fuel emissions from going into the atmosphere from your fuel system. This system is important to protecting our environment. There are many types of hydrocarbons contained in gasoline. Other elements can evaporate rather easily depending on weather conditions and when they react with the atmosphere can produce a photochemical reaction that creates smog. This reaction takes place when the chemicals like aldehydes, olefins, higher paraffin, and other chemicals are exposed to the sunlight and air. 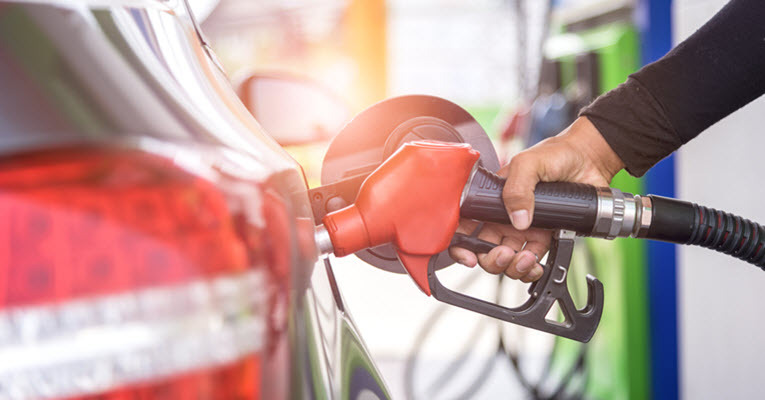 If your fuel cap is not functioning properly, it does not matter if you are driving your vehicle or not, it causes pollution to environment because it is exposing the sitting fuel to evaporate into the atmosphere. If this system is not performing properly it can be the cause for up to 20% of pollution caused by vehicles. What Symptoms Suggest a Fuel Cap Malfunction? One of the most common symptoms found when deal with a fuel cap malfunction is the overwhelming smell of fuel. If the seal or the cap is damaged it will cause the gasoline vapors to seep out and will be noticeable around your car. Another common symptom is that your check engine light will go on. You may also notice that your fuel cap is not properly securing after you pump gas. They cap is design to click once tightened completely, so if you notice that it is not securing properly it may be broken. The longer this problem persists in your vehicle the more pollution it causes to the environment, hence why it is an important problem to solve. Even though the fuel cap may be a small part on your car, the impacts of its proper function is incredibly important to the world around us. If you are experiencing a malfunctioning fuel cap and do not feel comfortable repairing it yourself, consider taking it to a trusted mechanic to do the repair for you. When dealing with fuel, the impacts do not only affect you, so it is important to get a proper diagnosis. Here at Hayes European we have expertly trained mechanics that are able to help you identify any fuel cap issues you are experiencing with your Audi. We provide diagnostics to be able to isolate and identify the problem and are able to repair the issue to ensure the system is functioning properly. Convenient to Santa Cruz, Aptos, Soquel, and Capitola, CA, we have skilled technicians who are knowledgeable about Audi systems and aim to provide quality services to ensure your car is running smoothly. Stop by or schedule an appointment today to get started with the best service and maintenance for your Audi. By AkamaiAssist| 2018-10-23T07:36:01+00:00 October 23rd, 2018|Audi Repair|Comments Off on What is the Role of the Fuel Cap in an Audi?